Casella CEL has redeveloped its lightweight cable-free dBadge noise dosimeter, enabling it to be used reliably in the harshest environments. The unit now features rubber overmoulding on the case to increase toughness and provide protection from the water and dust prevalent in mines or similar environments. 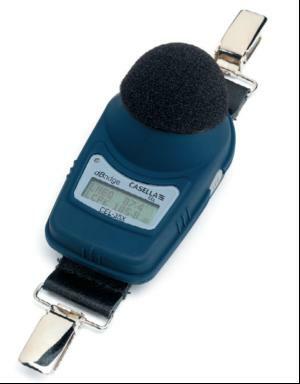 Casella has also added a new model to its noise dosimetry range, the CEL-350L dBadge 'Lite', which offers simple functionality at an affordable price. The 'Lite' version measures all the same occupational noise parameters as the original dBadge except for the time history of exposure to noise levels, so is suitable for users needing straightforward noise dose results at low cost.